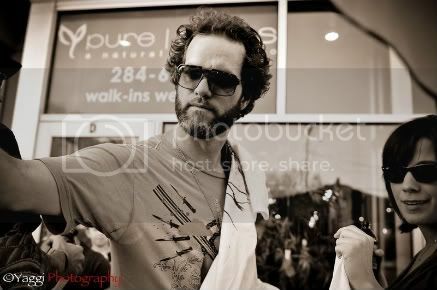 Guess who's celebrating his BDAY in Austin TX?!? 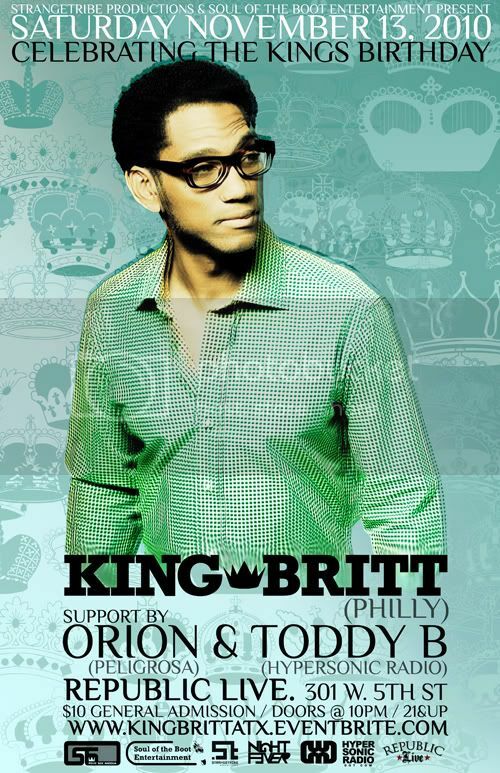 Vibe to King's remix of Preservation Hall featuring Mos Def. The King Meets The President in Africa! Hola fam! 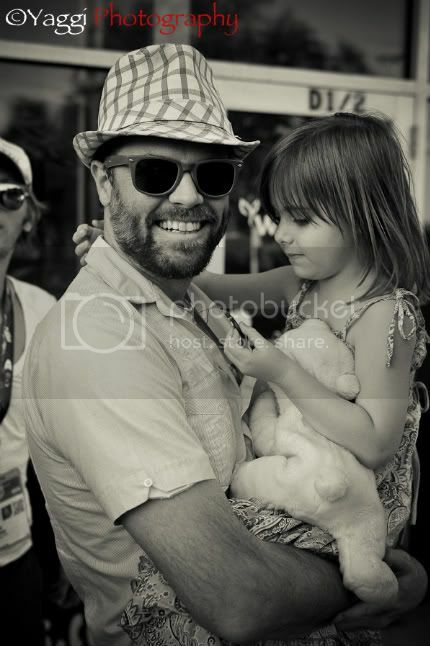 Juggling tons of amazing things in my life right now! Been vibing on this project for over a month now and finally felt compelled to write and share this energy. 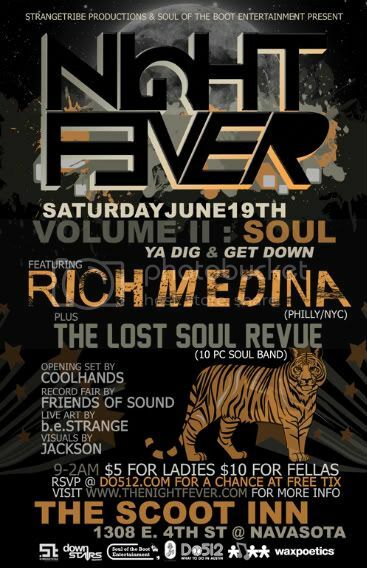 Shortly after Rich Medina blessed our Night Fever! 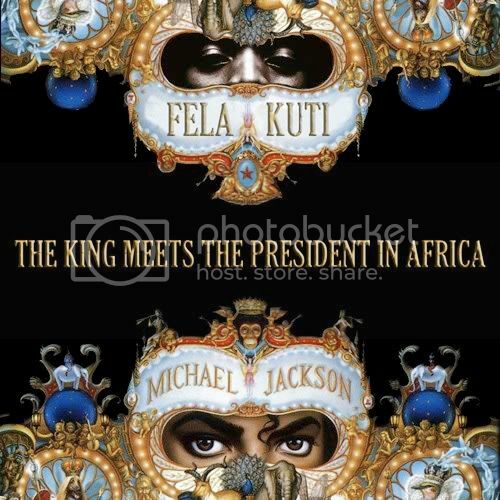 VOL II SOUL event in June, I was turned on to the MJFELA project between Rich and Mark Hines (Marksmen Guerilla Productions) Here's a taste of MJ and Fela tastefully mashed using video and these 2 dance floor gems! THRILLER ZOMBIE! Hola fam! Since the start of our Night Fever! 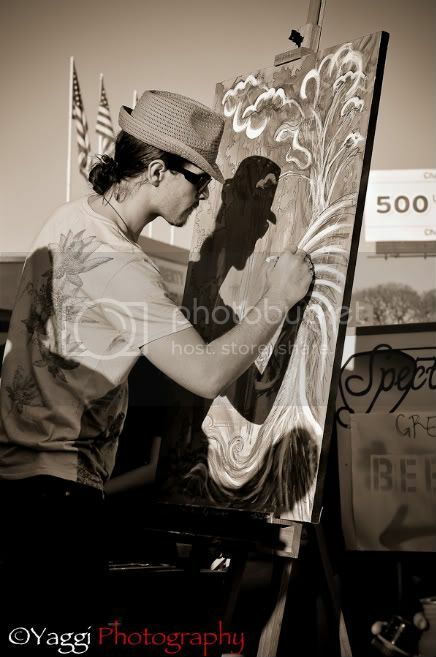 monthly, I have been posting event info there! 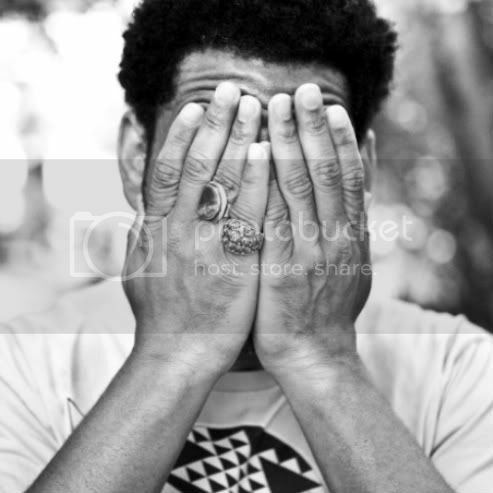 I have decided to focus on this new monthly while we await the birth of my 2nd son, Franti. 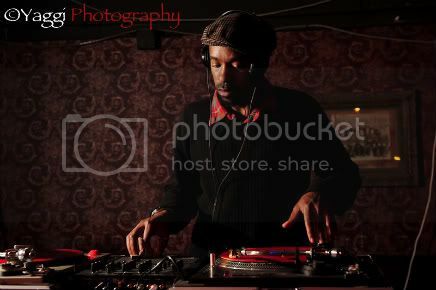 So on that note, please follow The Night Fever Blog for the 411 on Soul of the Boot Entertainment happenings! 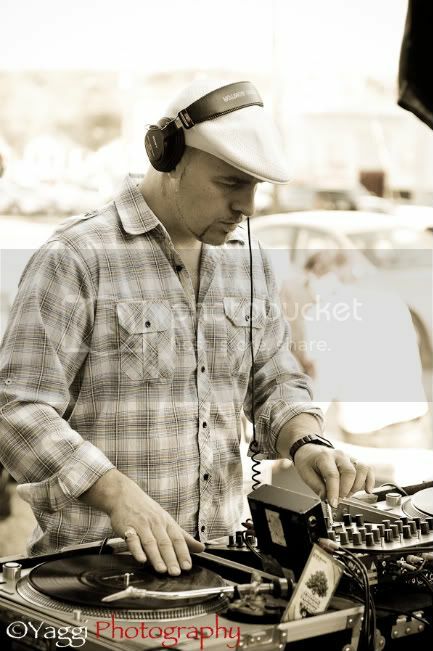 I will be offering exclusive mixes from the Night Fever series to peeps who follow the blog. Here's the haps for VOL II (Special Juneteenth Editon) We have alot to celebrate and be thankful for, especially on Juneteeth! RSVP on do512.com for a chance at FREE TIX! 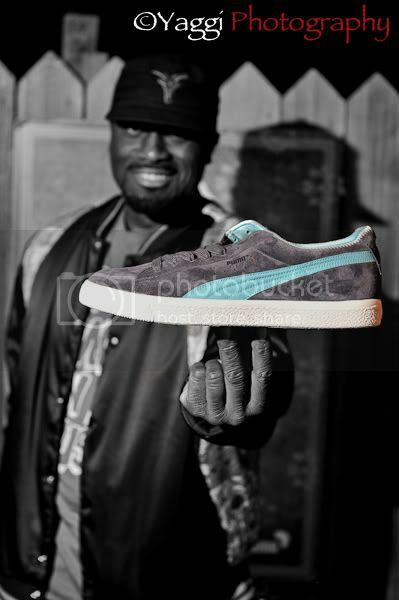 Here's a preview of the what Rich Medina is all about! After a few weeks off, its back to the grind! Lots of creativity that needs to be combined and explored! 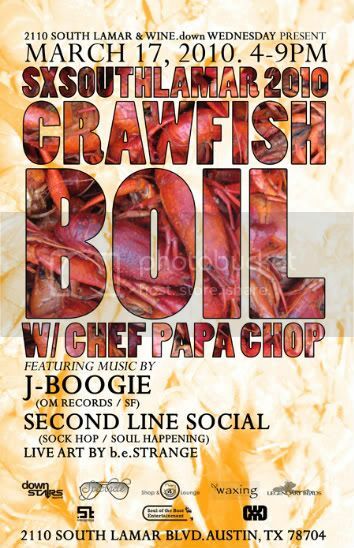 Back 2 back Soul of the Boot & StrangeTribe events the 2nd weekend in May! 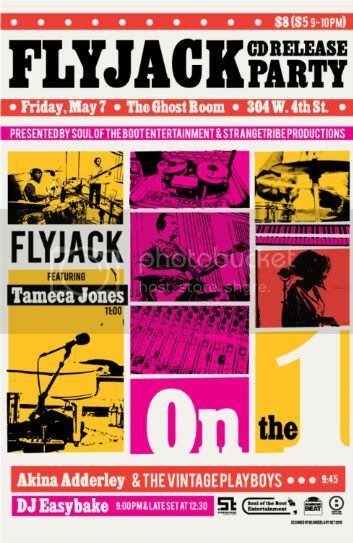 1st up.....FLYJACK'S "ON THE 1" CD RELEASE PARTY! 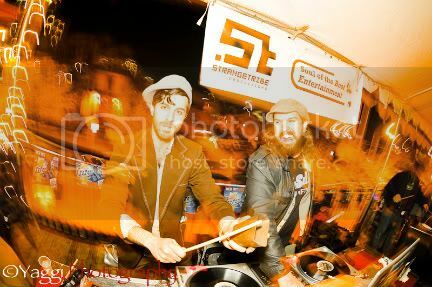 *DJ EASYBAKE* (ATX) 9:00PM & LATE SET AFTER 12:30PM. 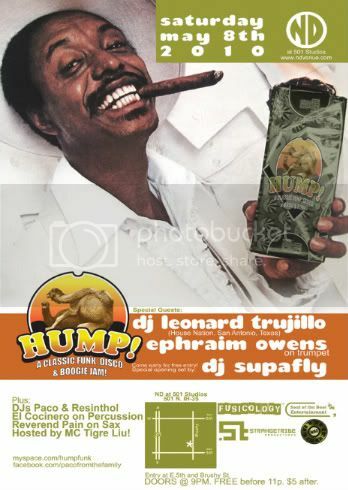 2nd up....HUMP! A Classic Funk, Disco & Boogie Jam! CERTiFIED WAX ALL NIGHT LONG! 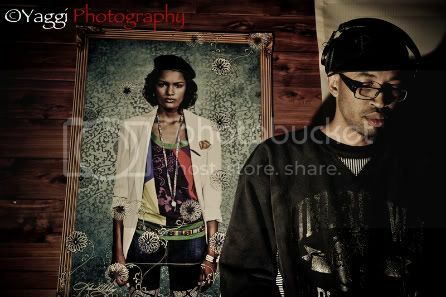 A SPECIAL OPENING SET BY DJ SUPAFLY! 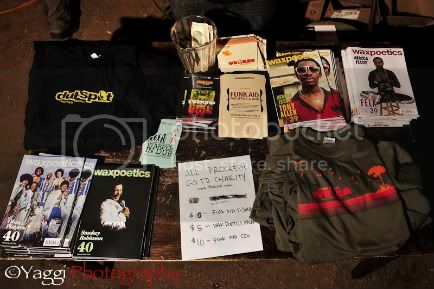 SUPPORT AUSTIN BASED ARTISTS & PROMOTERS! 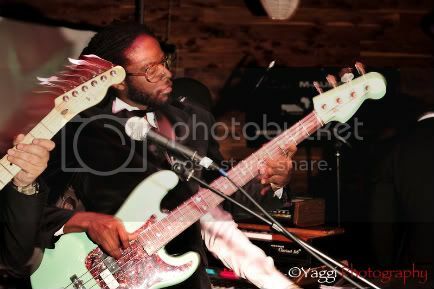 Tues 3/16 Bemba Soul Tribe present World Groove! Alright Fam! 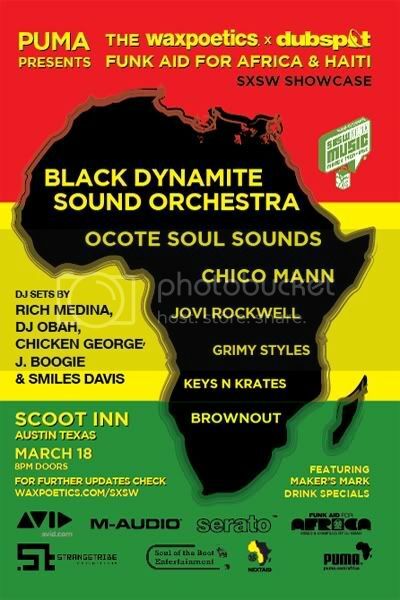 Here's the run of SXSW Soul Week! 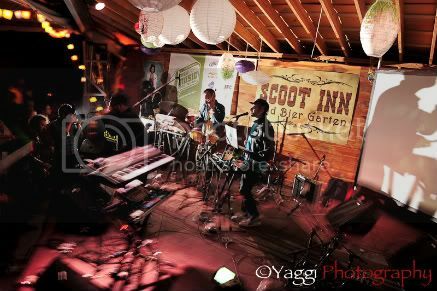 Follow me on twitter (www.twitter.com/souloftheboot) and RT with the hastag #sxswsoul to get that love during SXSW Week! Here's a run of my events for the week starting 3/16! Bemba Soul Tribe & Wax Poetics Present WORLD GROOVE! 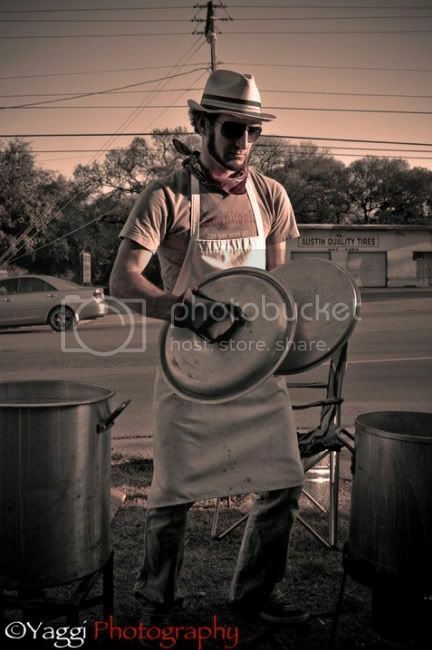 Wed 3/17 at 2110 South Lamar Complex! Thursday 3/18 at Scoot Inn! 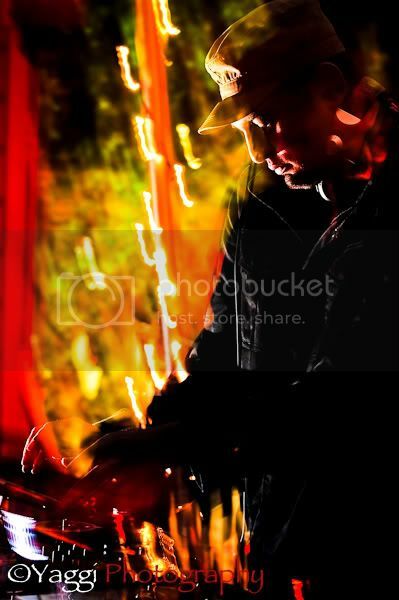 See ya in the mix! 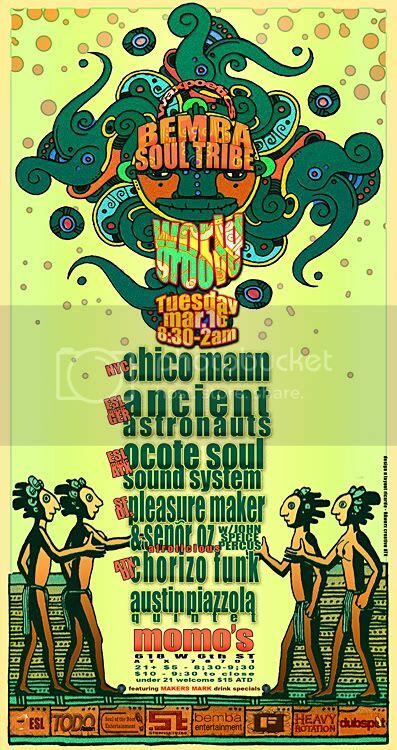 Tuesday March 16, Bemba Soul Tribe and Wax Poetics present World Groove at Momo’s, with performances by Chico Mann, Ocote Soul Sound System, Ancient Astronauts, DJs Pleasuremaker & Señor Oz with John Speice, DJ Chorizo Funk, and Austin Piazzolla Quintet. 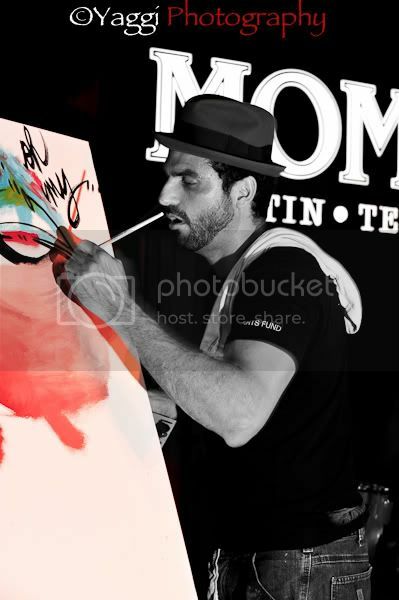 World Groove is a collaboration between three of Austin’s hottest promoters; Brandon Badillo of Bemba Entertainment, Scott Romero of Soul of the Boot Entertainment and Jeff Strange of StrangeTribe Productions. Together they form a music production powerhouse called Bemba Soul Tribe. 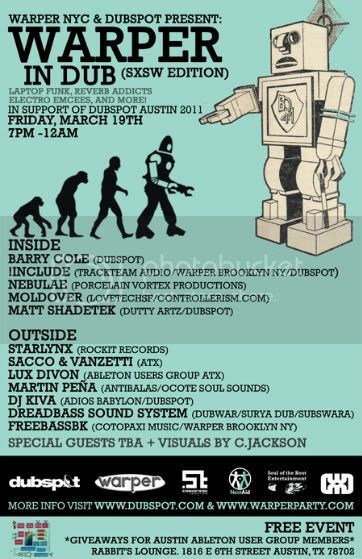 Their inaugural music showcase will debut on March 16th during SXSW. 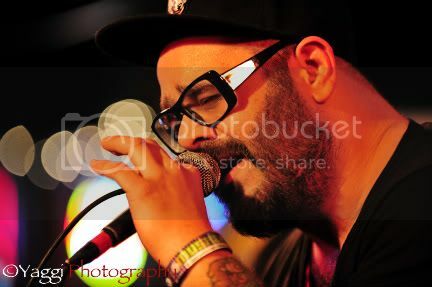 World Groove expands on Badillo’s established weekly World Music Night Series at the legendary live music club, Momo’s. 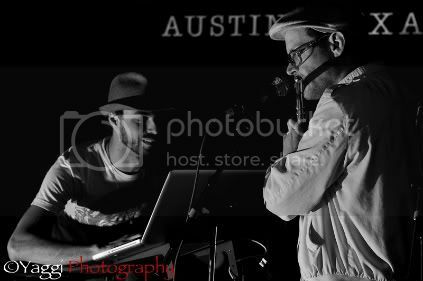 The intentions of Bemba Soul Tribe is to create a monolithic showcase that will rock Austin collectively and plant a seed that will inevitably spout and flourish into one of Austin’s most dynamic music production partnerships. 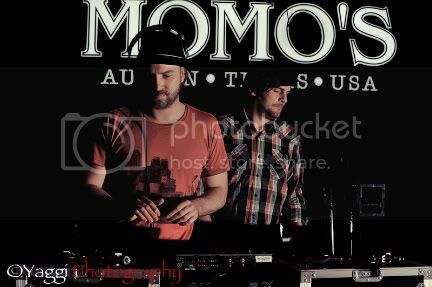 The show begins at 8:30 p.m. and goes until 2 a.m. at Momo’s, located at 618 W 6th St. There is a $5 cover from 8:30-9:30 and $10 after 9:30 for 21 and older, for everyone under 21 the cover is $15. This event will feature Maker’s Mark drink specials all night, guest appearances and giveaways! World Groove is partnered with Wax Poetics (NYC) & sponsored by Dubspot, Heavy Rotation, ESL Music, Fusicology, KUT 90.5 FM, & Todo Austin. For more information visit www.Bembaentertainment.com, www.souloftheboot.blogspot.com, www.facebook.com/strangetribe or call Momo’s at 512-479-8848. 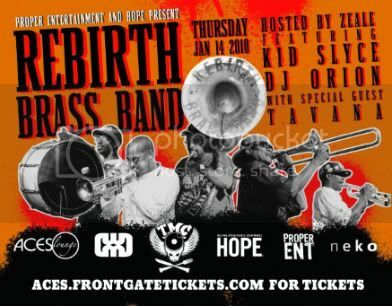 THIS THURSDAY AT ACES LOUNGE (222 EAST 6TH STREET) NOLA'S FINEST REBIRTH BRASS BAND WILL BRING THEIR SECOND LINE TO AUSTIN TX! 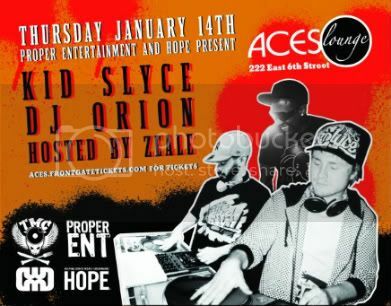 LOCAL WORDSMITH ZEALE HOSTS AND RAW WORD RECORD'S DJ ORION AND TMC'S KID SLYCE WILL OCCUPY THE TURNTABLES! 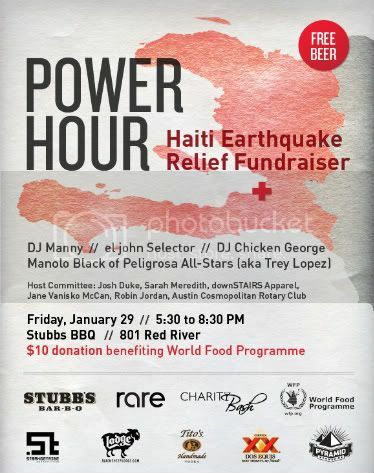 WHAT A BLESSING FOR ALL OF THE NOLA FOLKS IN AUSTIN SINCE KATRINA, INCLUDING MYSELF! 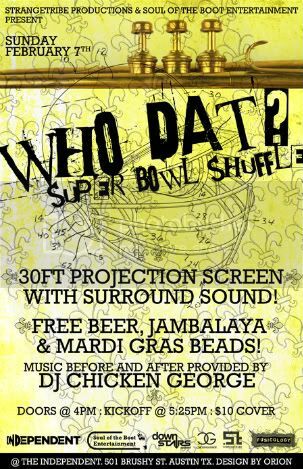 SAINTS PLAYOFF WEEKEND AND THIS SHOW WILL DEFINITELY MARK EARLY MARDI GRAS FESTIVITIES FOR ME!